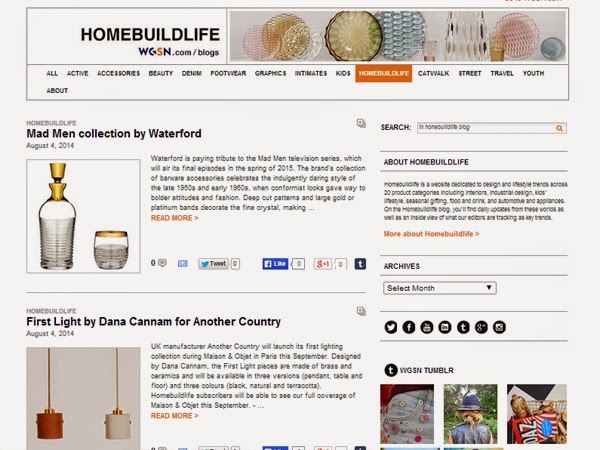 Homebuildlife: The Homebuildlife Blog has relaunched! The Homebuildlife Blog has relaunched! The new Homebuildlife.com has launched today as the unique industrial and interior design trends website within the WGSN Group, with significant upgrades to technology and user experience. In the spirit of "better together" we’re excited to announce a new location for our blog, too: visit www.wgsn.com/blogs/homebuildlife to catch our daily blog posts.